This entry was posted on December 31, 2010 by joeleagle. It was filed under Birds, Nature and was tagged with Downy Woodpecker, Male Downy Woodpecker, woodpecker. mmmmmmmm a FULL feeder….where should i begin? Watching birds in my yard is my favorite thing to do, especially in the winter. I feed them and enjoy the show. I am french and live in France. The birds are different from the ones you probably see! I love your pictures! 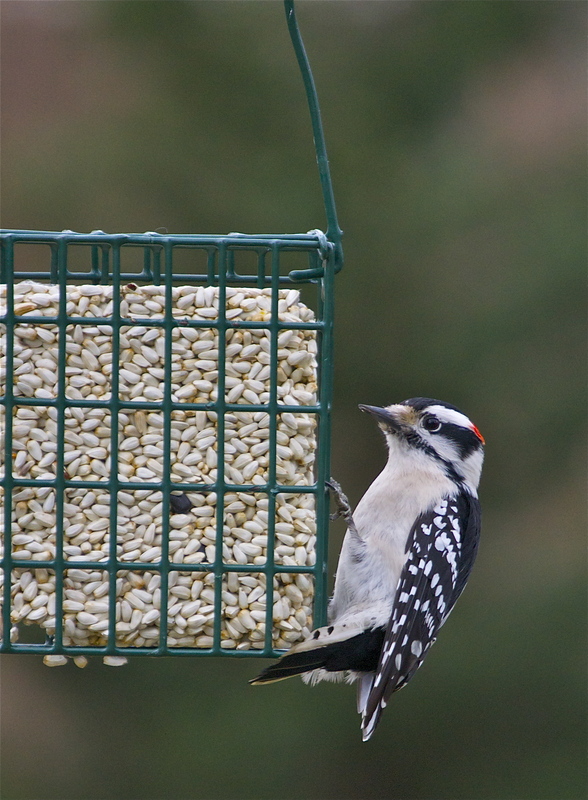 Why not a Downy Woodpecker? Is it a Downy? I looked at a bunch of google image searches for woodpeckers and thought it looked like the Hairy Woodpecker … I’m a big fan of birds and photographing them, but I’m far from being an ornithologist. It’s a Downy (Hairy is much larger). Great shot! This is a lovely shot too – I love how much detail is there.